Description: Native to the central Mediterrancean region, parsley has a wide-variety of uses in the culinary arts and has enormous health benefits. 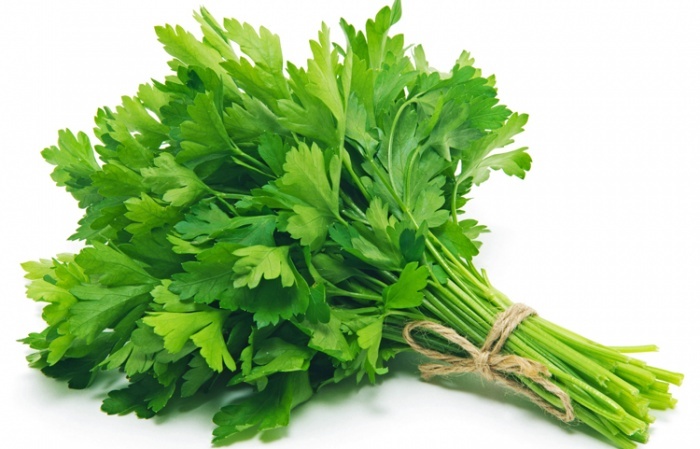 The two most common types of parsley are curly parsley, which is often used as a garnish to potatoes, fish and even meats, and Italian flat-leaf parsley. Known for adding great flavor to foods parsley is used in some types of salsa and the leaves and root also are used to make parsley tea. Parsley can be used as an herb, spice and a vegetable and is common in cooking throughout the world.. Kitchen Pharmacy: Unbeknwonst to the general public, parsley has tremendous health benefits and is more than your average dinner garnish. Parsley has been shown to be very helpful in inhibiting tumor formation especially in the lungs and it is believed to promote good cardiovascular health as well. In addition, its anti-inflammatory capabalities are perhaps its finest quality and it is believed to be very beneficial in reducing the risk for rheumatoid arthritis.